Cupcakes & Cake Pops, & Cookies! Chocolate cake with chocolate buttercream and vanilla cake with vanilla buttercream, and fondant toppers. White cake with orange curd filling, vanilla buttercream and gumpaste crowns. White cake dyed orange, with chocolate buttercream and chocolate rocks. 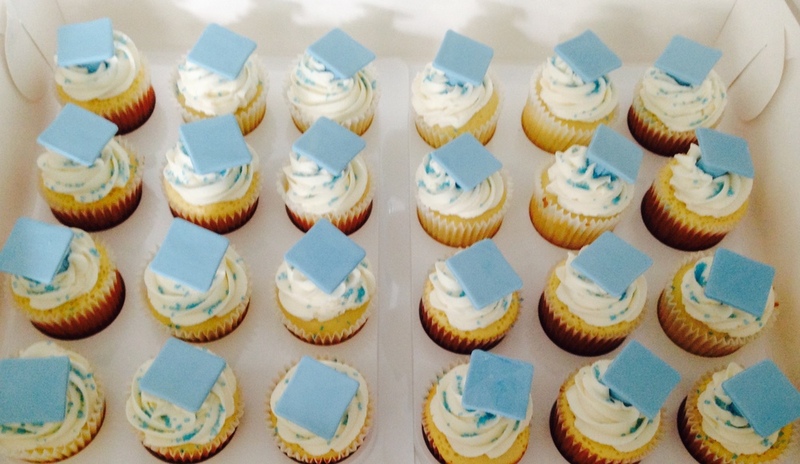 White cake with vanilla buttercream and gumpaste grad caps. Salon themed chocolate and white cupcakes with fondant and gumpaste toppers, including a straightening iron, hair brush, blowdryer, scissors and a Kevin Murphy shampoo bottle. 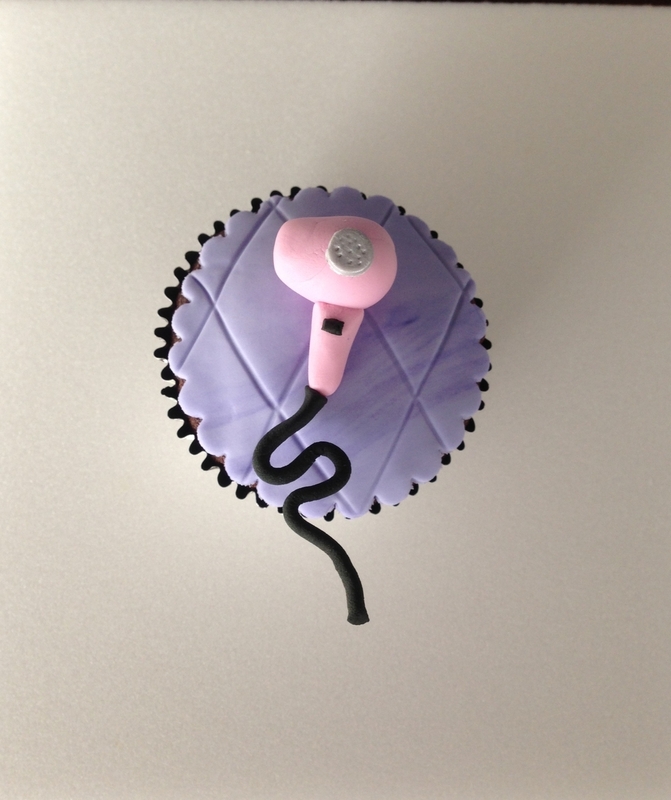 Chocolate cupcake with fondant blowdryer. Chocolate cupcake with fondant straightening iron. 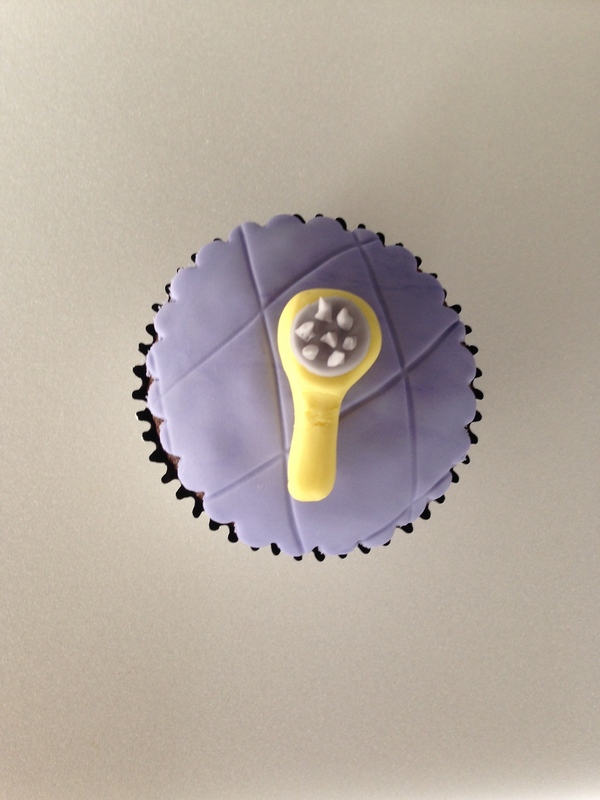 Chocolate cupcake with fondant hairbrush. 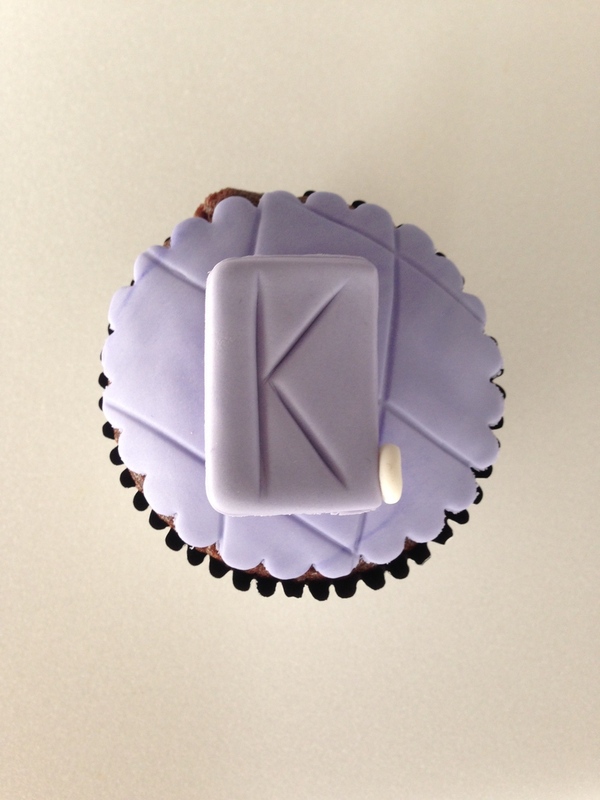 Chocolate cupcake with a Kevin Murphy shampoo bottle topper. Chocolate cupcake with gumpaste scissors. 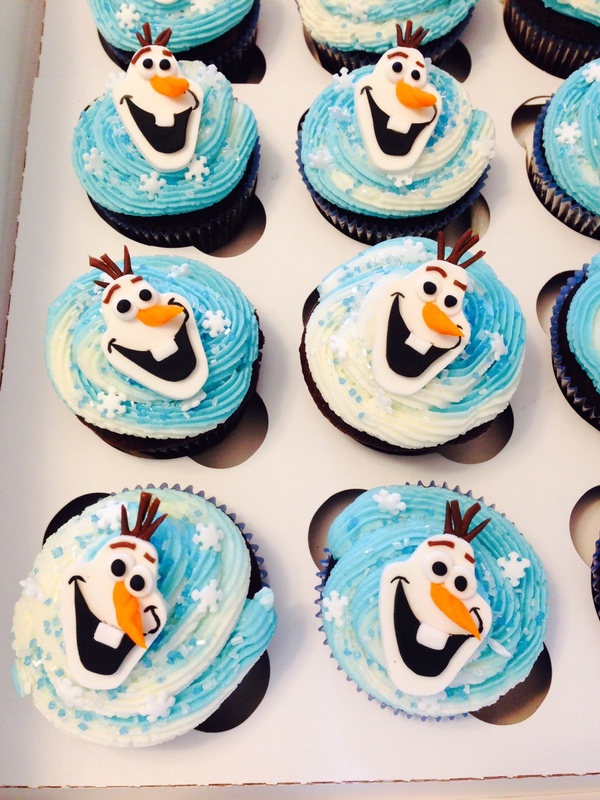 Chocolate and White cake with vanilla buttercream, fondant and gumpaste Olaf cupcake toppers, snowflake sprinkles and white and blue sanding sugar. Gender reveal cupcakes. White cupcakes with fondant bee cupcake toppers. White and Chocolate cake cake pops dipped in white chocolate.